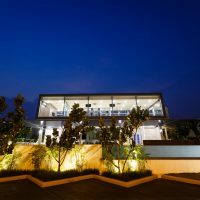 It’s dusk in Kota Samarahan. 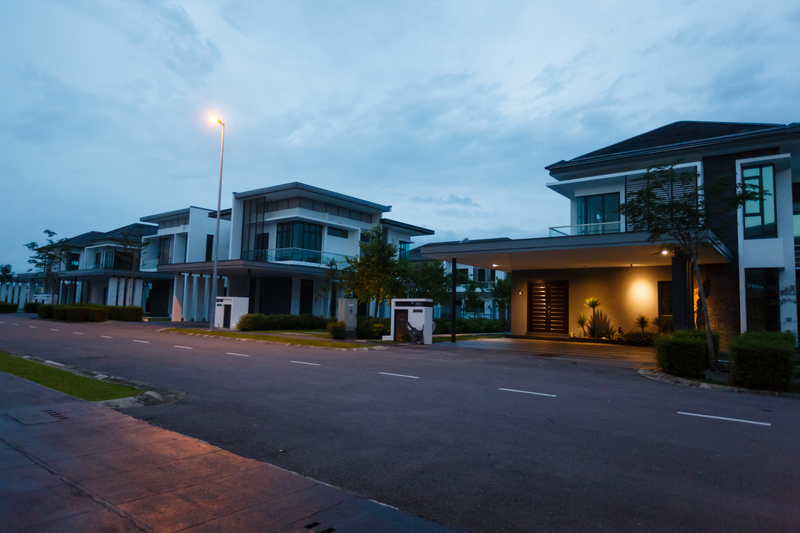 The sun begins to set as people make their way home after a day’s work, and the street lights begin to flash as they come to life. 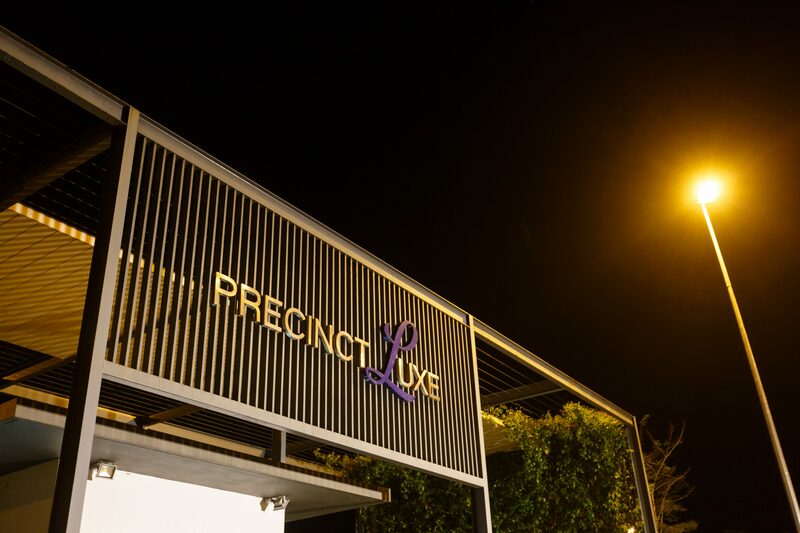 And so do the lights at La Promenade, located right at the entrance of the booming district, giving the exclusive gated and guarded residences a distinct look at twilight. 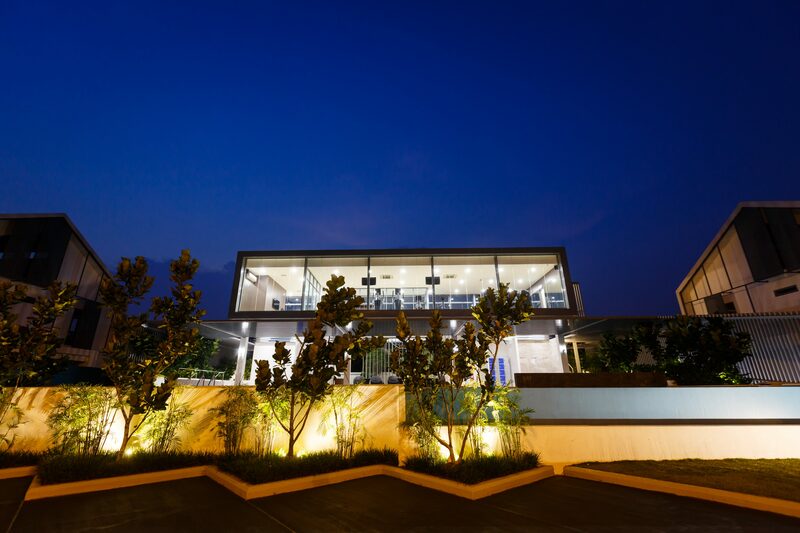 This is after dark, at La Promenade. 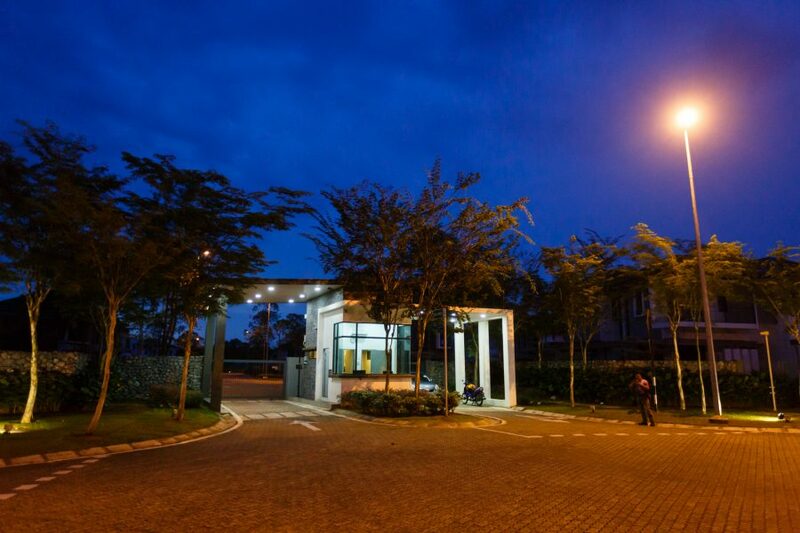 Well lit at all times to ensure that its residents have peace of mind as well as to add a touch of class to the surroundings, nights at the exclusive gated and guarded residences are quiet and peaceful. 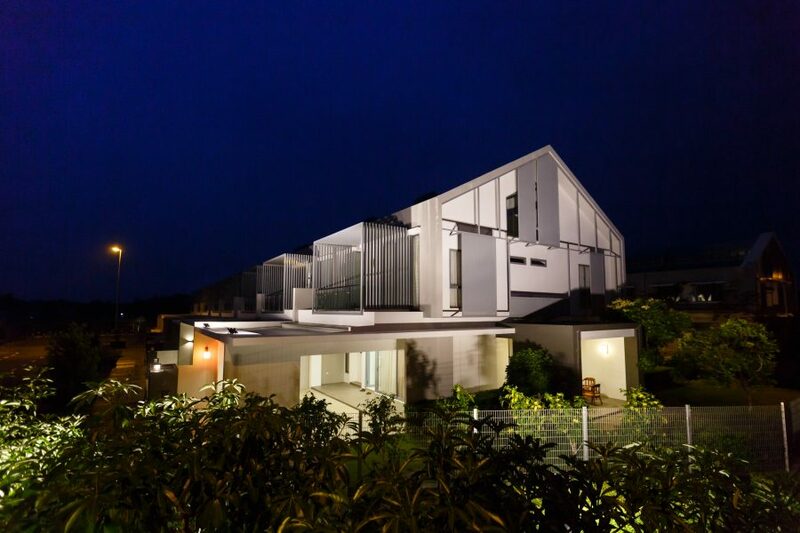 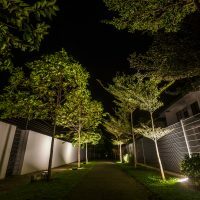 The footpaths are clearly marked and lit, so nighttime strolls around the sprawling neighbourhood as well as its linear parks are pleasant affairs. 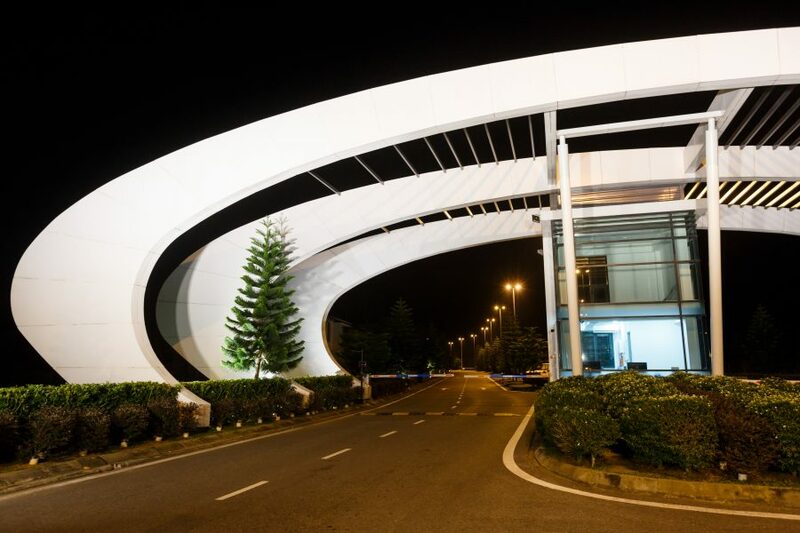 Residents are greeted at the main guardhouse by its stately white arches and our trained security personnel, who are on duty around the clock. 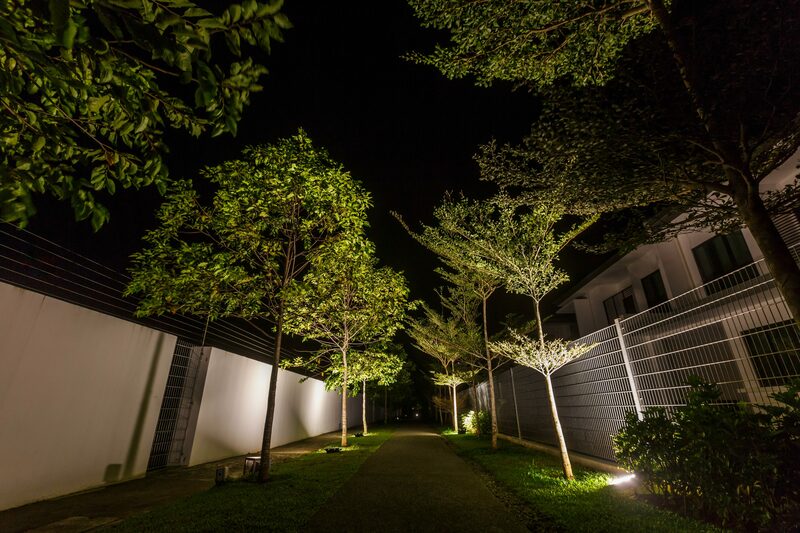 Bright lights located at key spots around the structure make sure it stands out even at night, acting as a beacon to guide residents back home. 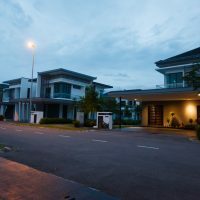 Past the entryway, residents then take a leisurely drive along well-lit roads all the way back to their respective precincts and individual guardhouses. 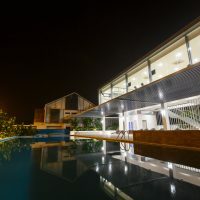 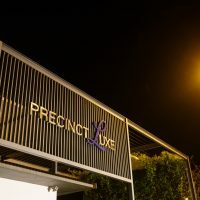 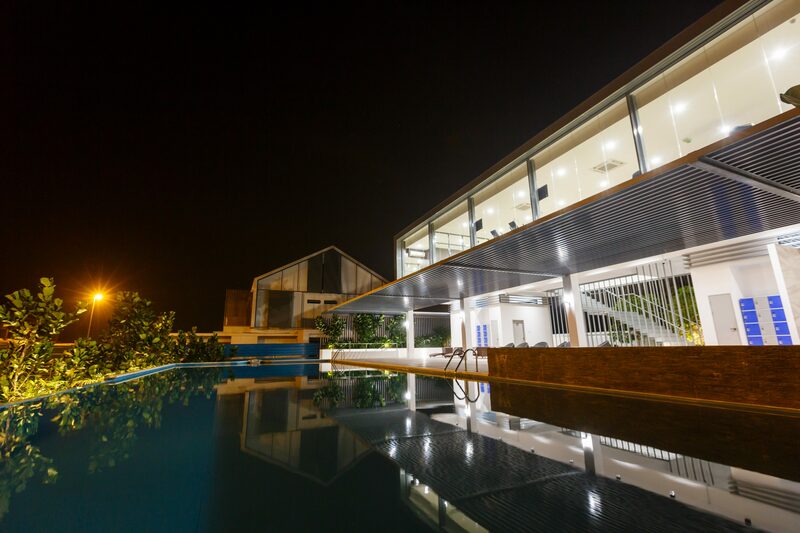 Precinct Luxe’s clubhouse and it’s swimming pool shines bright at night with it’s many lights, welcoming residents back as they come through the guardhouse. 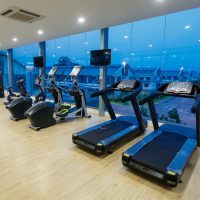 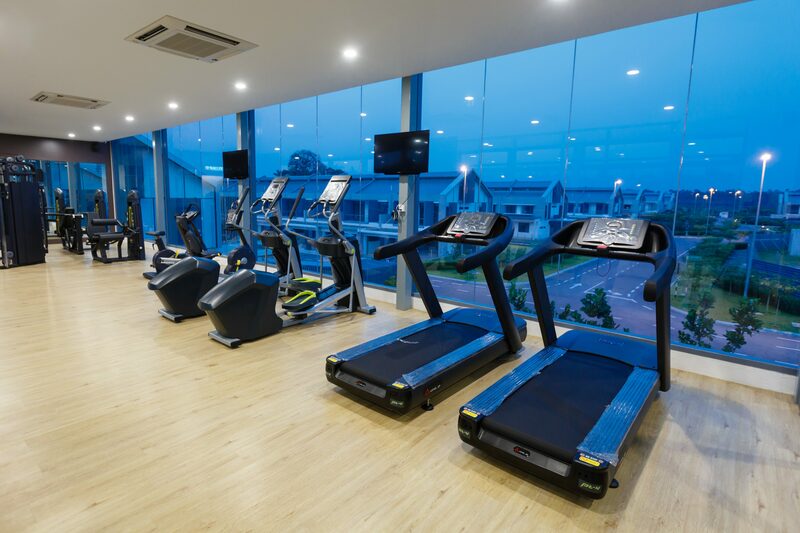 Residents can also work out while enjoying the overall view of the residences and rest easy knowing that they are in good hands when it comes to security, especially at night. 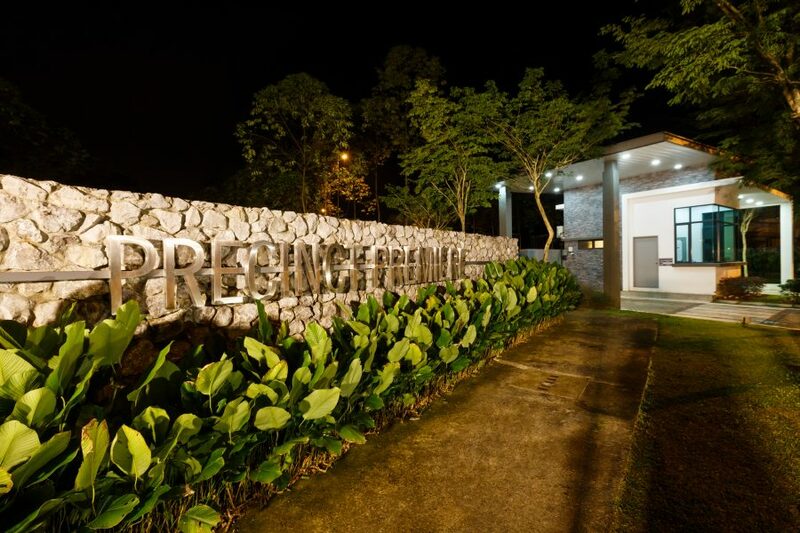 Precinct Premiere also takes on a much more different look as night falls, as its linear parks are accentuated with shadows thrown by the landscaping and angles of the surrounding houses. 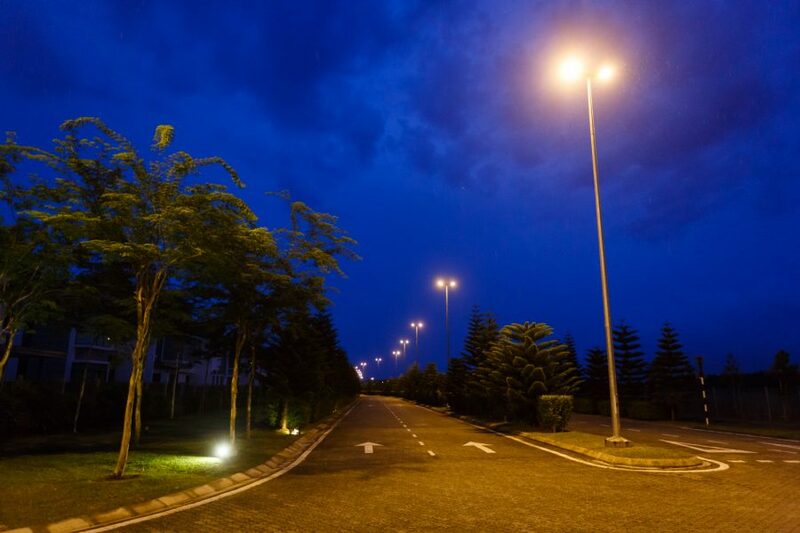 Street lighting is plentiful, and rarely are there any poorly lit areas at all, which means that residents young or old can venture on foot through the neighborhood for walks or to exercise with peace of mind.